Naples Florida River Reach issues. Hi i live in river reach a complex here in Naples, Florida. My issue has been going on for months now and after serveral months of contacting customer support and having techs come to my house on a weekly basis this is my last resort. We are experiencing 25% packetloss after 5pm. Our ping jitters which i know comcast has no agreement to make better is over 75ms to my first hop. 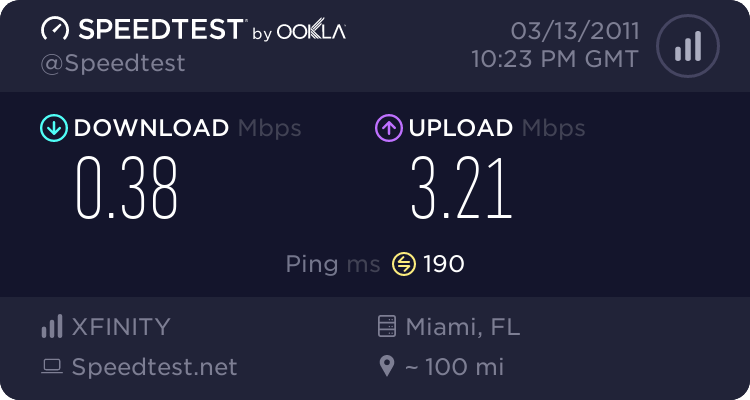 On my 10 meg service i get 1Mbps down. 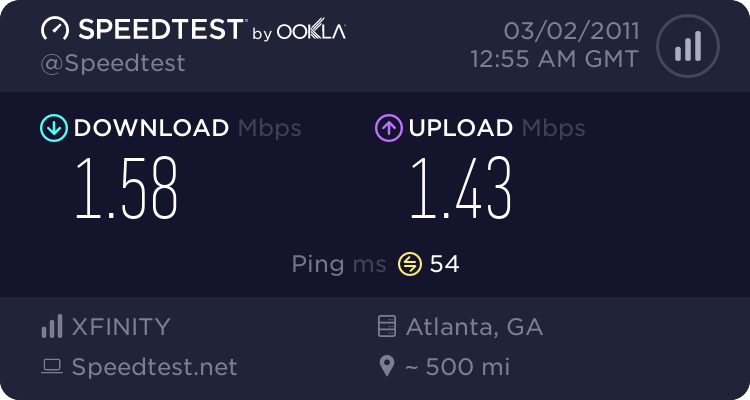 Who do i contact to fix this issue since it seems i'm paying for service they refuse to fix. 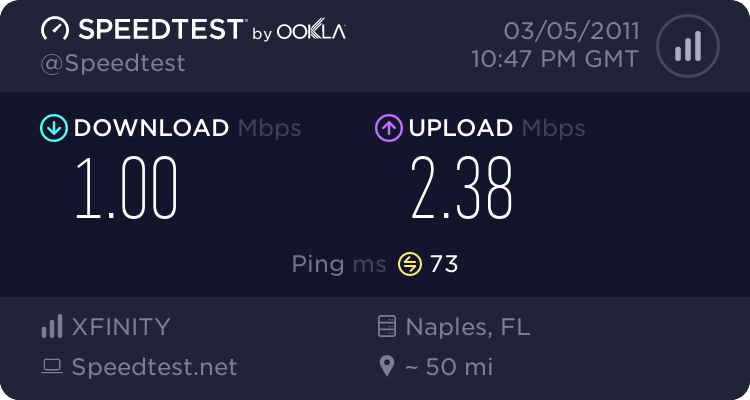 Are some speedtests over the few nights i've gotten online. Here is a tracert to google.com which isn't as bad as most nights but it's still early. I'm timing out to my first hop which is why you see all the packetloss throughout my route. Here is a ping -t to my first hop which is my gateway or some sort of comcast internal server. As you can see my packetloss is at 11% it gets worse as the night continues. If anyone has any suggestions on how i can push for this to be fixed cause it's not just me its the whole complex and everyone down the 2 roads leading to River Reach i'd truely appreciate it. 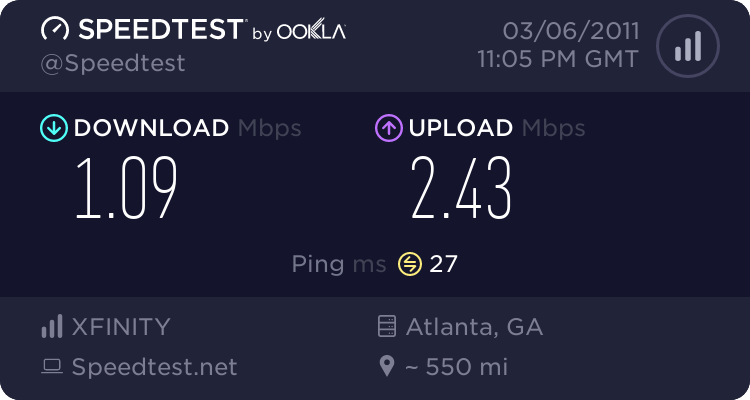 Heck i've even thought about breaking lease and paying the $1,000 since comcast will get it out of me in terrible service out here. Re: Naples Florida River Reach issues. Bump to try to get a reply? So not one person can help me or look into this issue for me? At the top of the connectivity forum there are stickies on troubleshooting and posting required information. Review those posts, especially the post titled "information required for connection related posts" and especially the modem signal stats. So far you have only posted tracert's and speedtests.